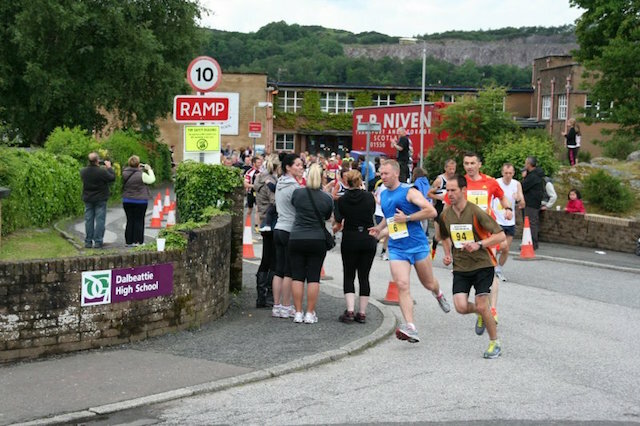 Dalbeattie Civic Daze organises Community events and Celebrations in and around Dalbeattie including the Civic Half Marathon & 10K Road Race launched in 2012. The inaugural event was a great success despite torrential rain the day before. It was a miracle that the Road Races took place at all. But it remained dull, cool and DRY for all races (ideal conditions) with no sign of rain till later in the day. The 10k Road Race course had to be changed at the last minute, due to the effects of the rain of the day before. The Half Marathon was scheduled for a 12 noon start and everyone had their eye on the weather which looked gloomier as the event progressed. But the rain held off and the many competitors had near ideal conditions. 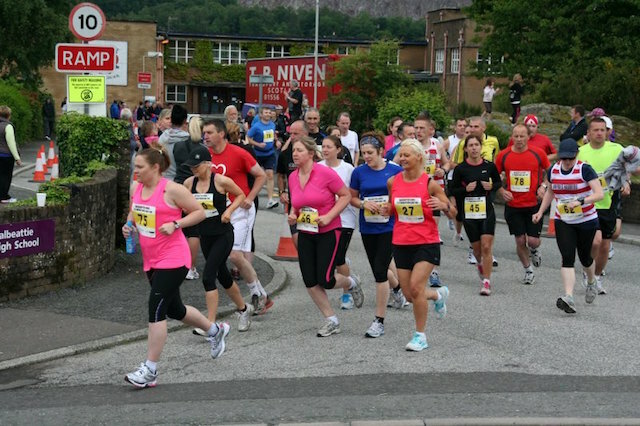 Due to the success of this event, another very successful half marathon was held in 2013 and, thanks to the success of the Dalbeattie Civic 10k and Half Marathon, it was brought to the attention of the Marathon Committee that there was a need for a running club in the town in order to help sustain local involvement in these events. The idea of a running club was discussed with members of the community and, as a result, the Dalbeattie Civic Running Club was born, with their very first meeting being held at the Bandstand, Colliston Park, Dalbeattie on Tuesday 13th August 2013. Dumfries Running Club very generously have agreed to allow us to be affiliated with them and will be on hand in the first few weeks to help facilitate the organisation. The Club is open to everyone over the age of 16 and, most importantly, of all abilities. 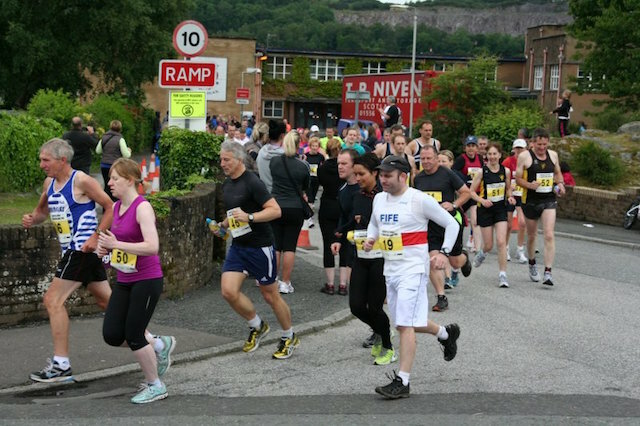 Not only is the aim of the club to sustain events in the town, but to build on people's experiences and foster new friendships and help to improve the general fitness of the town. To contact the Civic Daze organisers, email: dalbeattiedaze@gmail.com. For more information about Dalbeattie Civic Daze, visit their website. 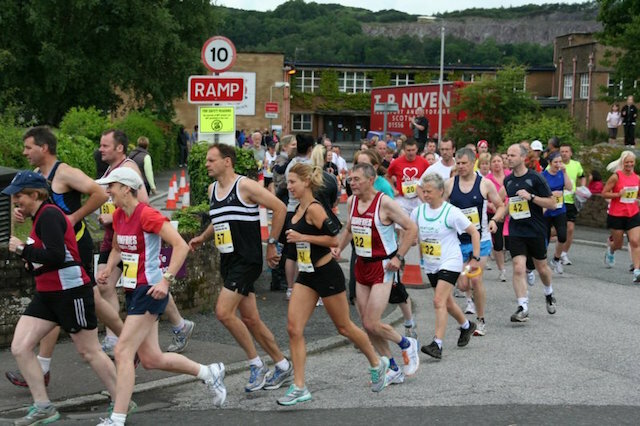 To view more images from Dalbeattie Half Marathon and 10k Road Race, visit the Photo Albums page.